Before Rachel McAdams became the romdram queen, I actually thought she was a very promising actress. But, like many actresses before her, she seems to have fallen into the vortex of the genre and can't seem to find her way out (with the exception of her smaller roles in Midnight in Paris and To The Wonder). Her newest movie, which you may be happy to learn is not at all affiliated with Nicholas Sparks, has her once again dealing with matters of the heart in the Richard Curtis-directed film, ABOUT TIME. Before you start rolling your eyes, the Internet has told me the film is actually pretty good (but I'll share my thoughts about it once I see it this week). 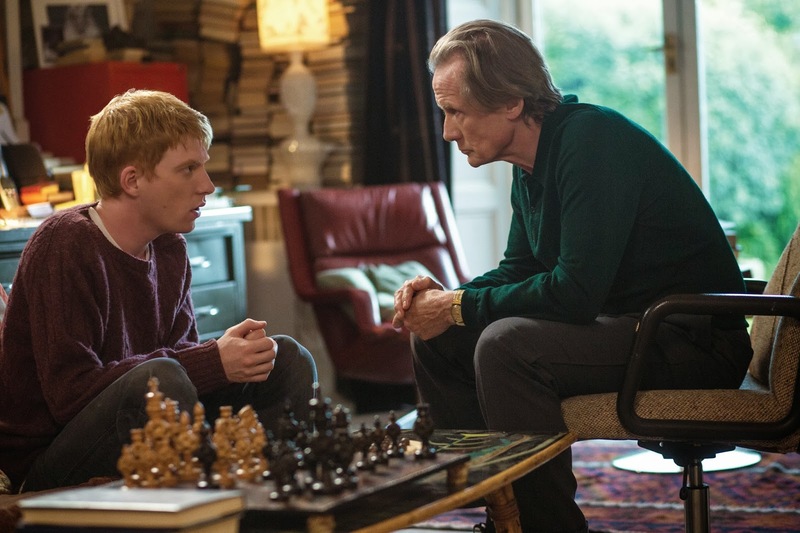 Curtis, whose now 10-year-old directorial debut, Love Actually, continues to capture the hearts of audiences, reunites with his Love actor Bill Nighy in the movie, which also stars Domhnall Gleeson (of both Harry Potter and the Deathly Hollows films). At the age of 21, Tim Lake (Domhnall Gleeson) discovers he can travel in time… The night after another unsatisfactory New Year party, Tim’s father (Bill Nighy) tells his son that the men in his family have always had the ability to travel through time. Tim can’t change history, but he can change what happens and has happened in his own life—so he decides to make his world a better place...by getting a girlfriend. Sadly, that turns out not to be as easy as you might think. Moving from the Cornwall coast to London to train as a lawyer, Tim finally meets the beautiful but insecure Mary (Rachel McAdams). They fall in love, then an unfortunate time-travel incident means he’s never met her at all. So they meet for the first time again—and again—but finally, after a lot of cunning time-traveling, he wins her heart. Tim then uses his power to create the perfect romantic proposal, to save his wedding from the worst best-man speeches, to save his best friend from professional disaster and to get his pregnant wife to the hospital in time for the birth of their daughter, despite a nasty traffic jam outside Abbey Road. But as his unusual life progresses, Tim finds out that his unique gift can’t save him from the sorrows and ups and downs that affect all families, everywhere. There are great limits to what time travel can achieve, and it can be dangerous too. About Time is a comedy about love and time travel, which discovers that, in the end, making the most of life may not need time travel at all. ABOUT TIME hits theaters November 8th. I typically hate Rom-coms but Richard Curtis delivers interesting work, so I'm looking forward to this. I don't know, I thought the trailer for this looked so corny. I like the actors in it, but I'll wait to see what you say.